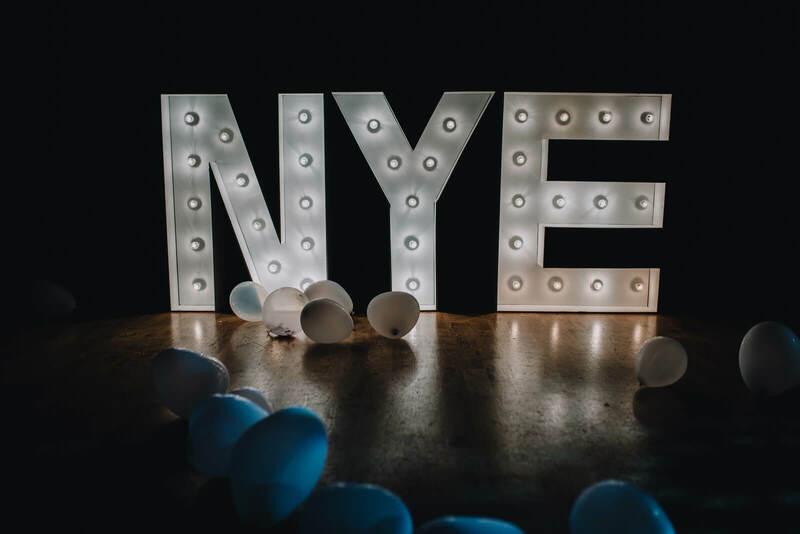 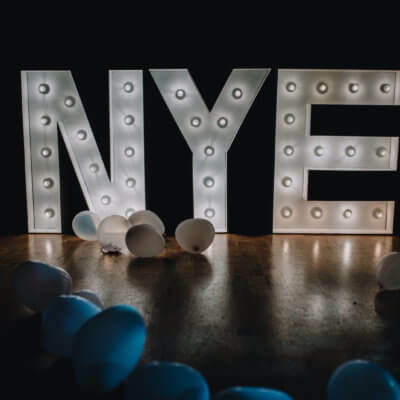 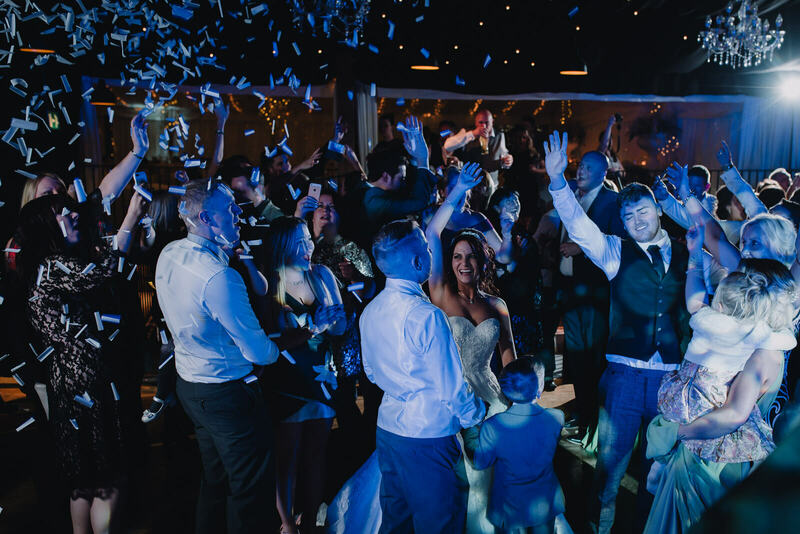 Miranda & Darren chose to marry on NYE and what a party it was! 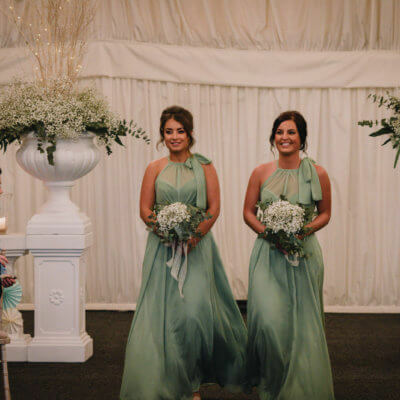 Miranda came the day before and with help from her sister, Kelly the florist and Decorations from Laura, she spent the afternoon decorating and it looked fantastic! 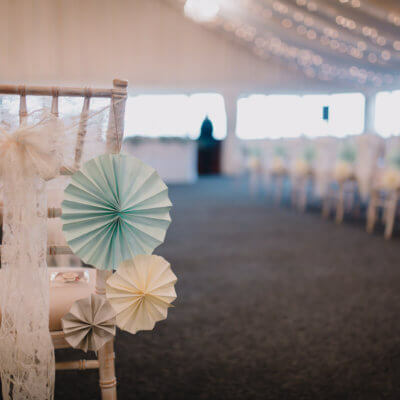 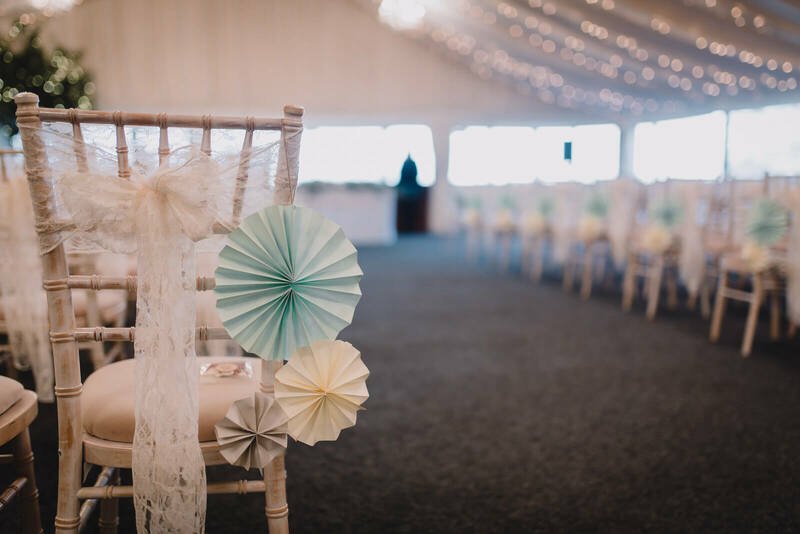 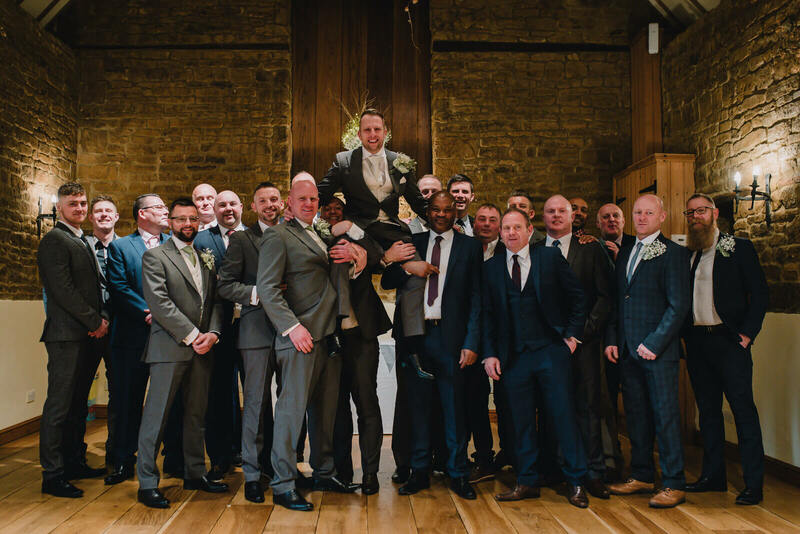 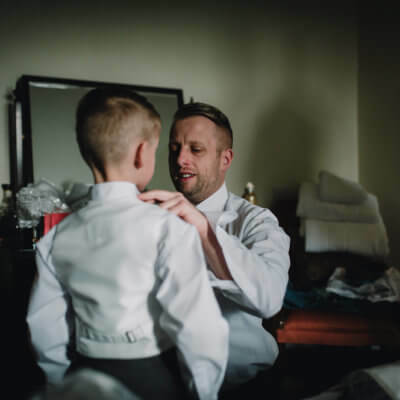 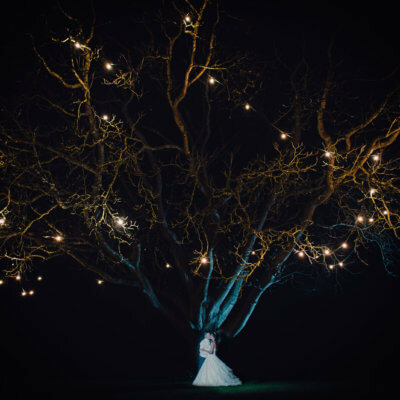 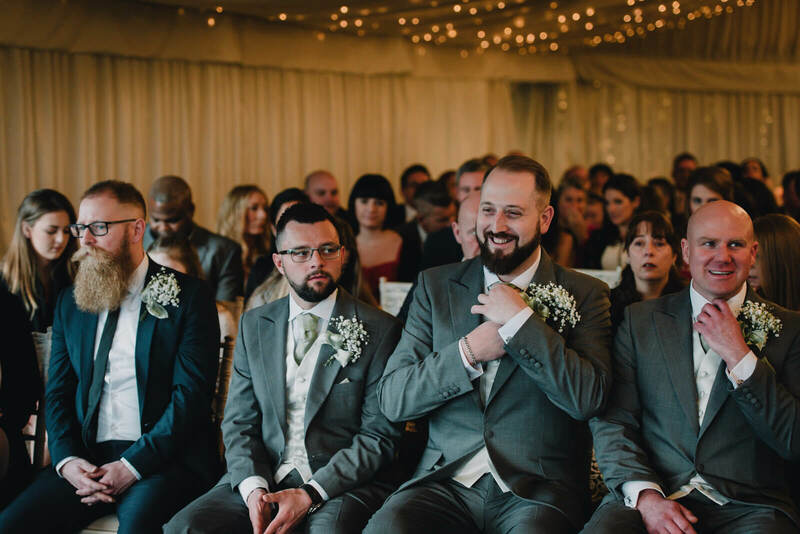 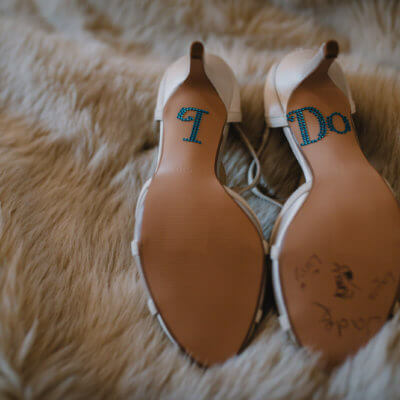 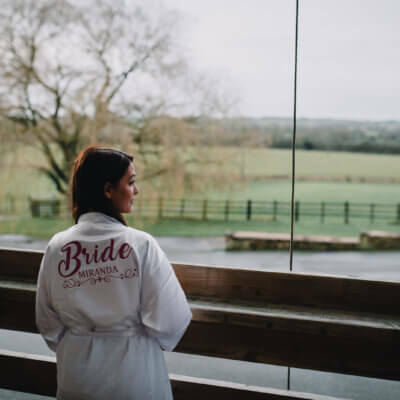 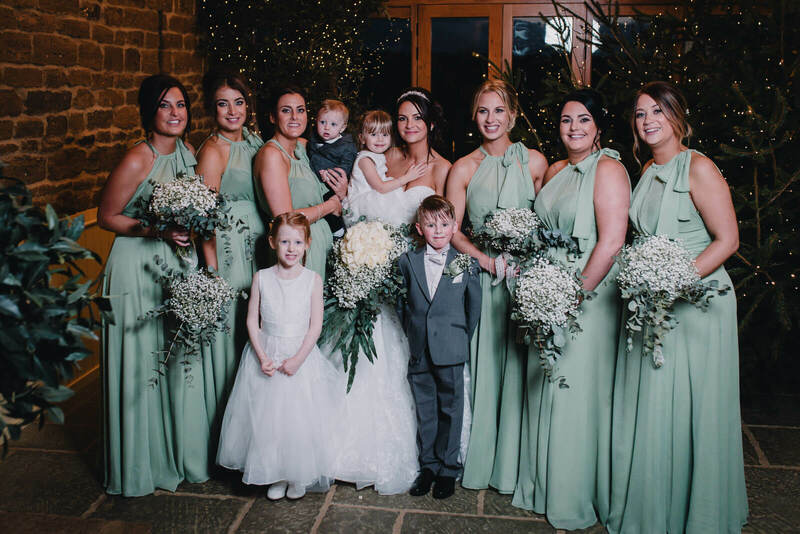 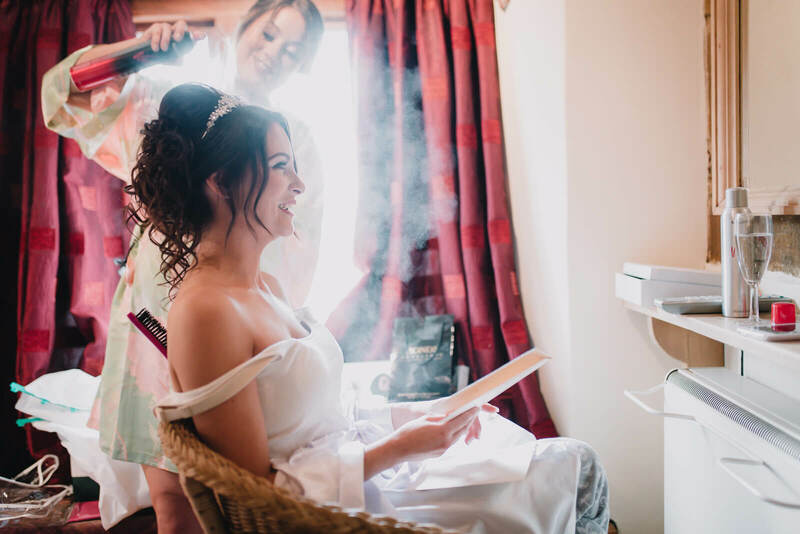 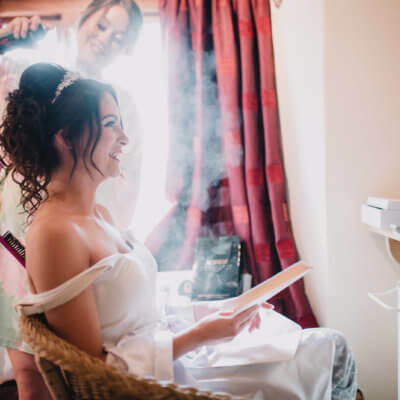 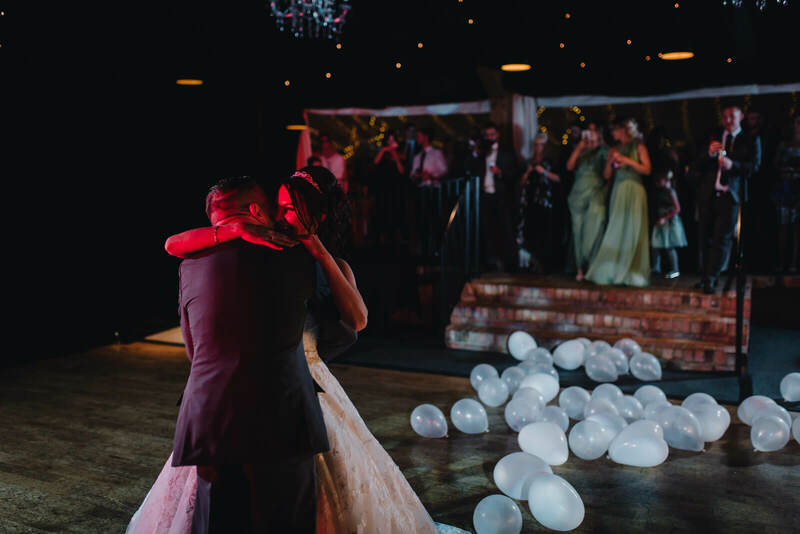 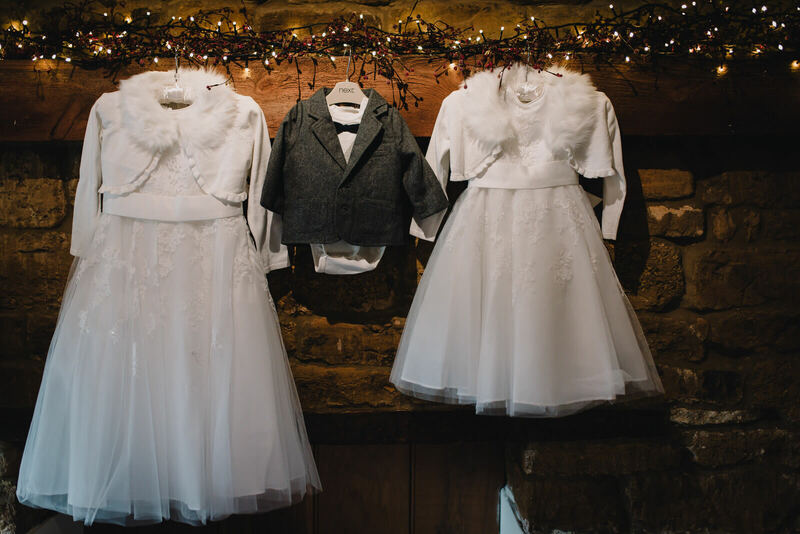 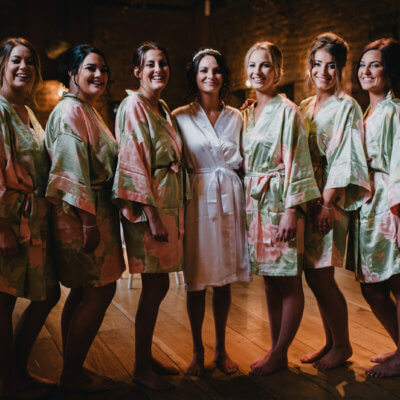 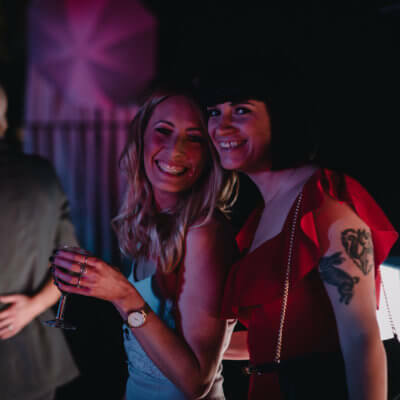 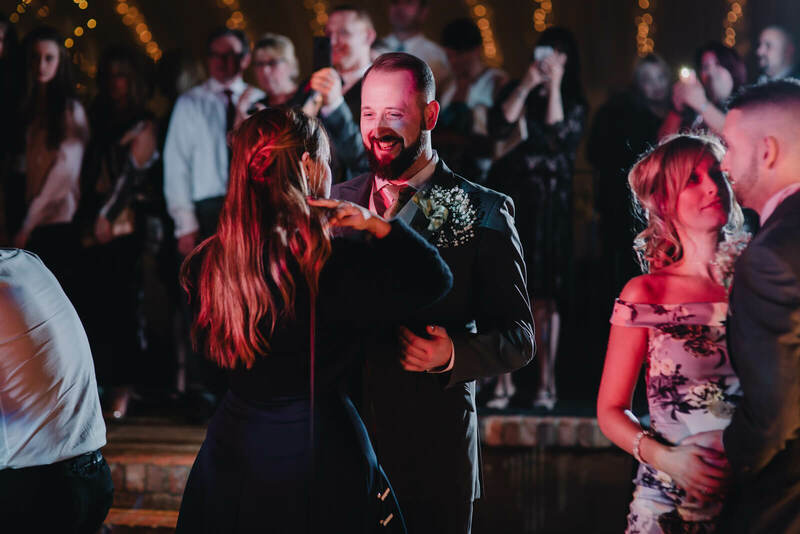 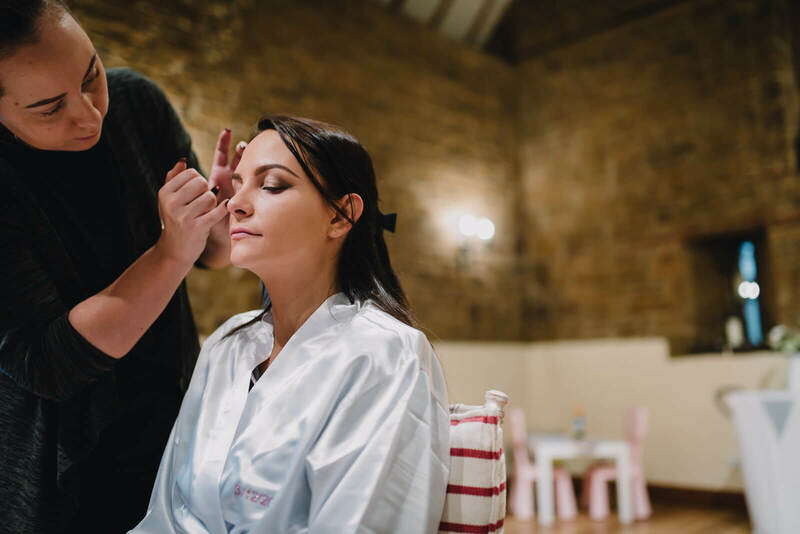 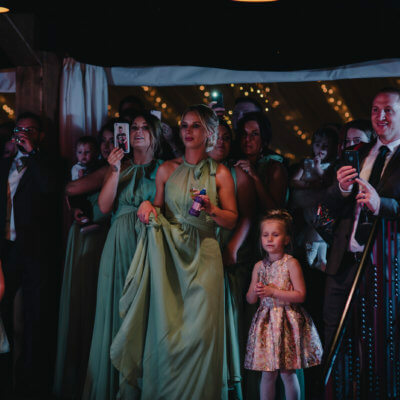 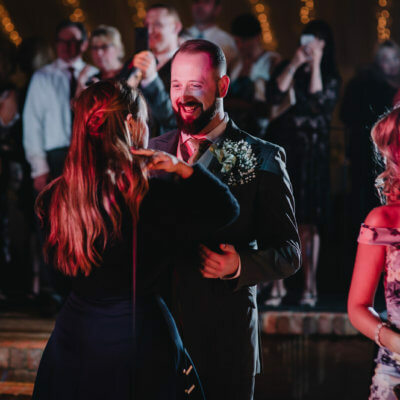 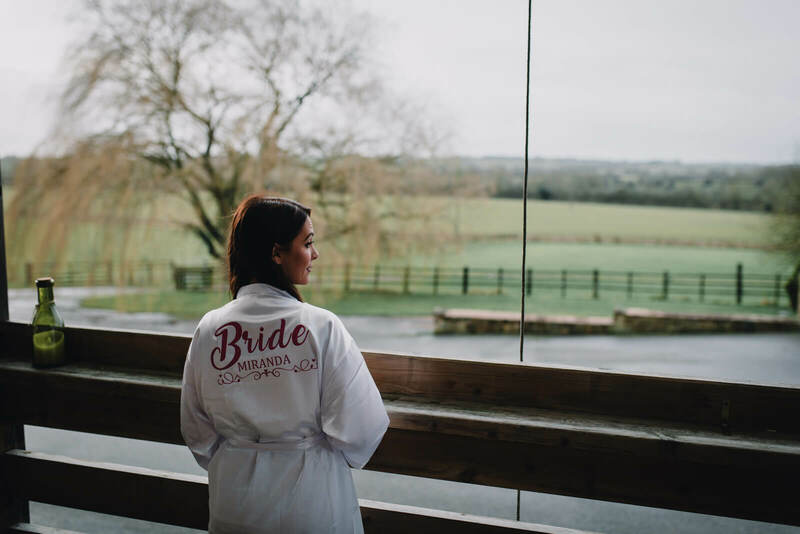 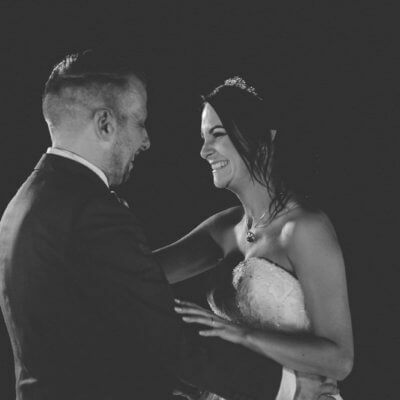 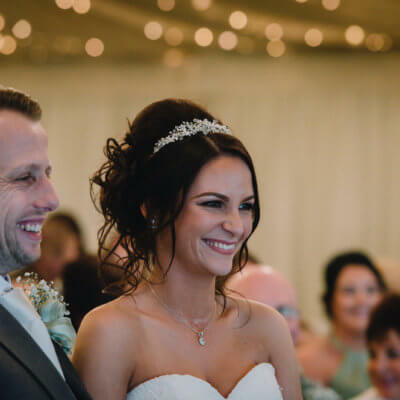 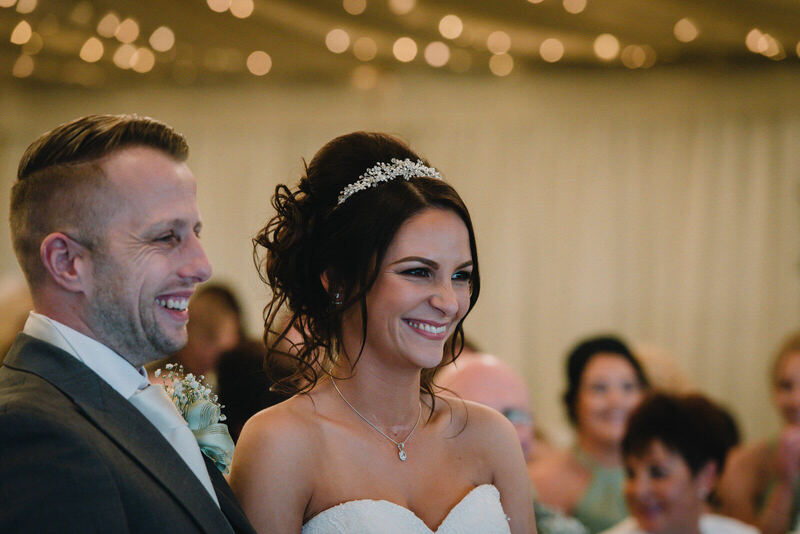 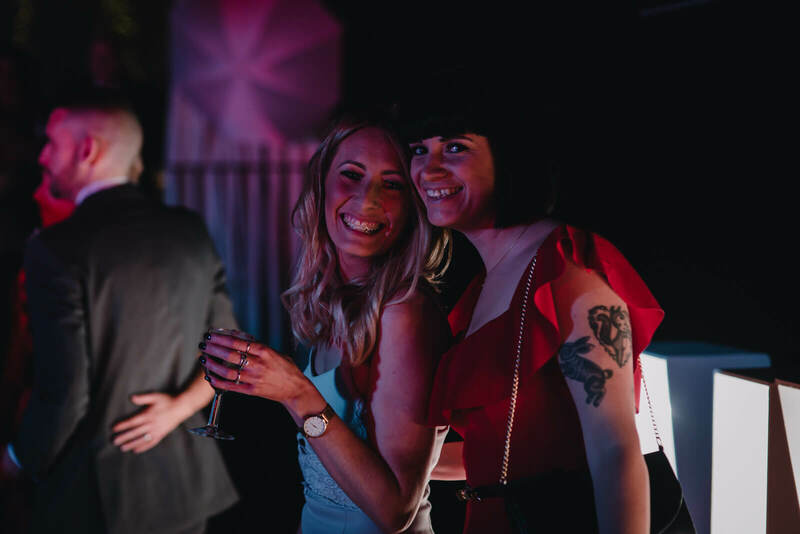 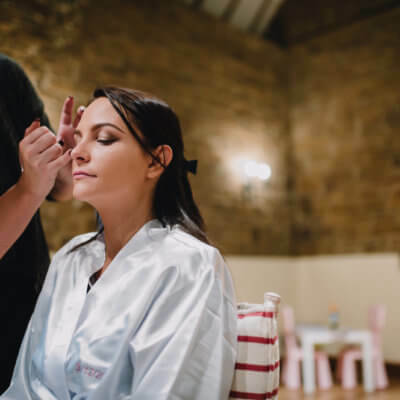 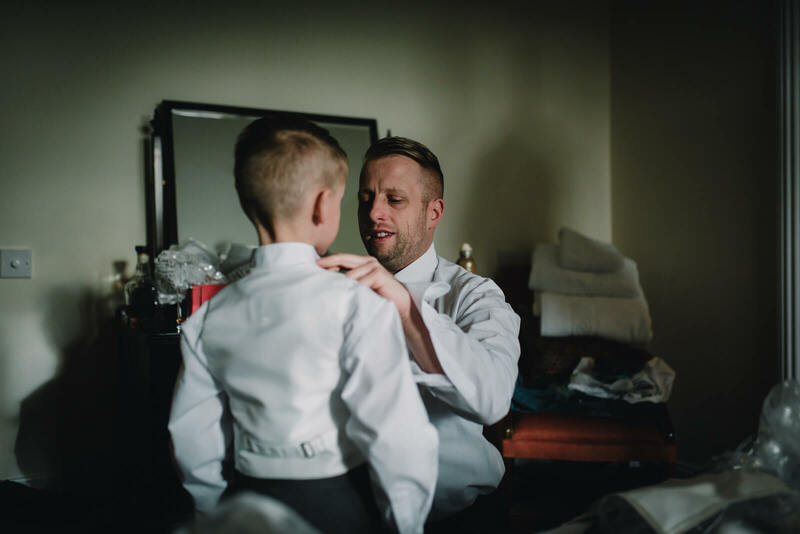 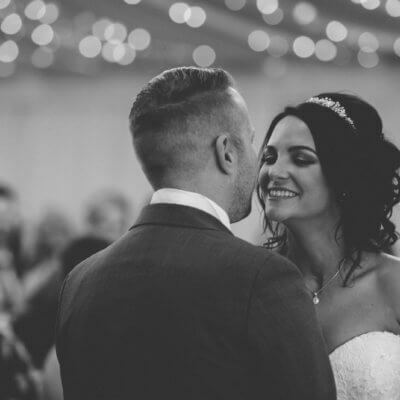 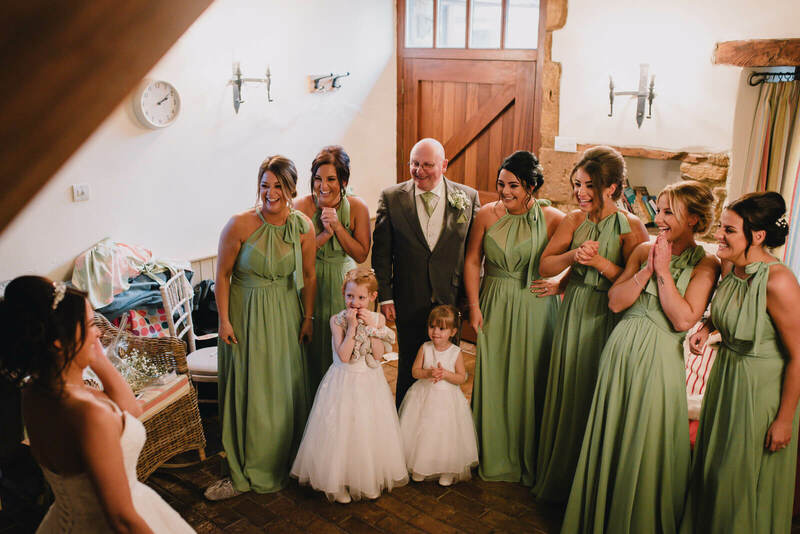 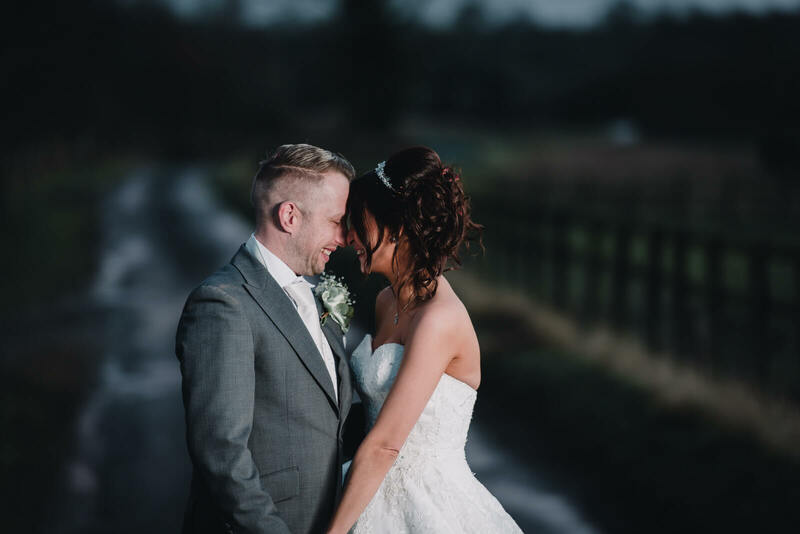 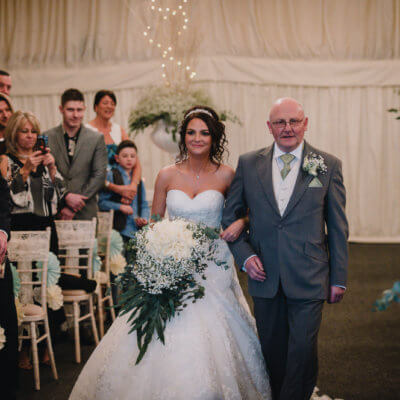 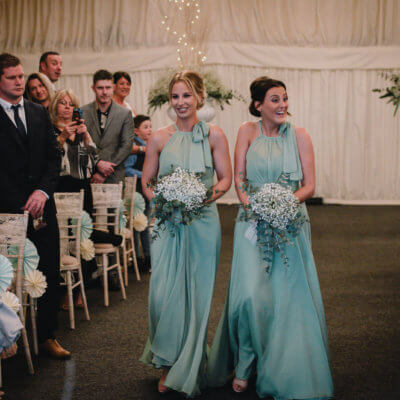 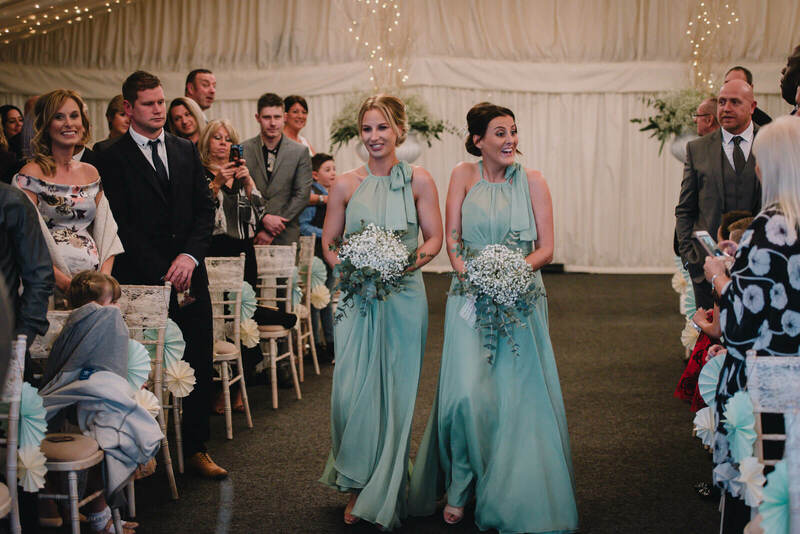 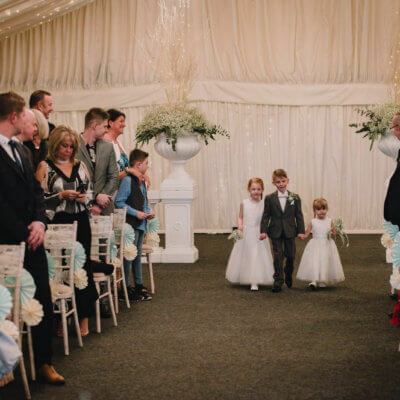 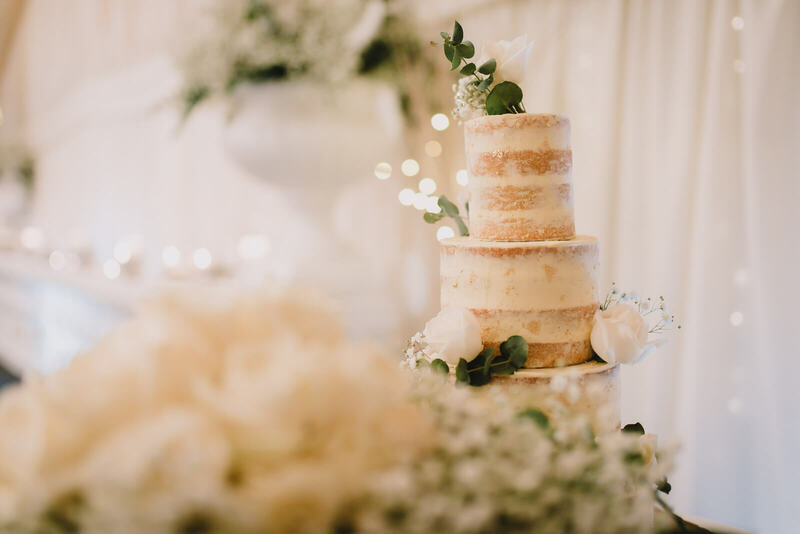 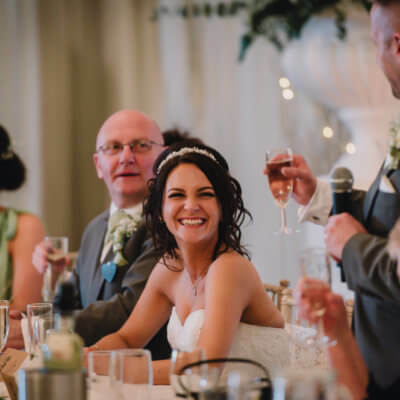 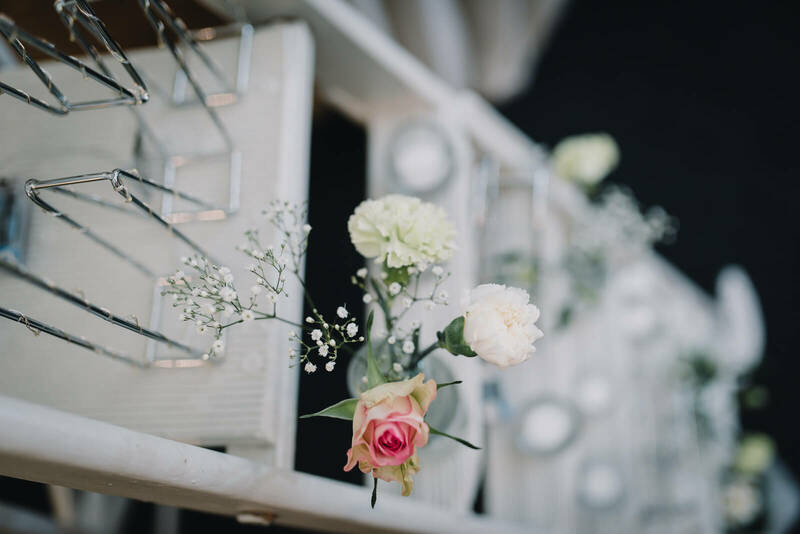 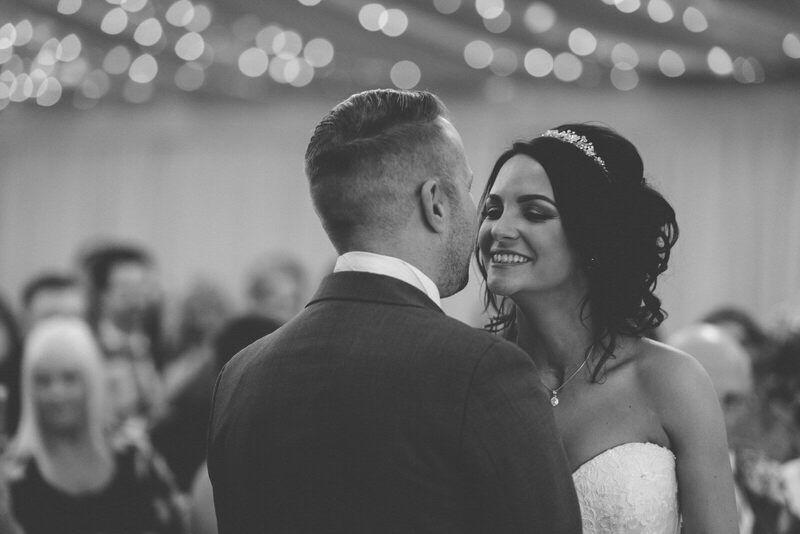 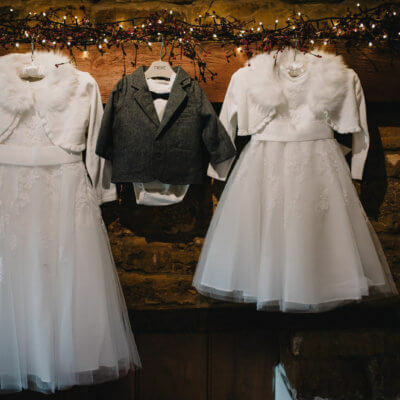 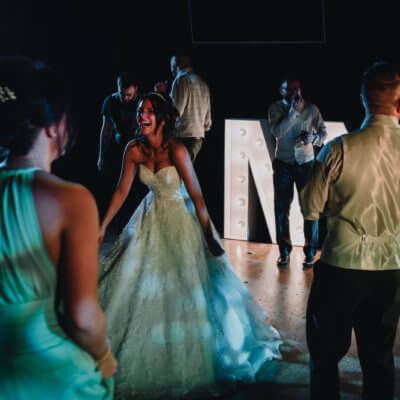 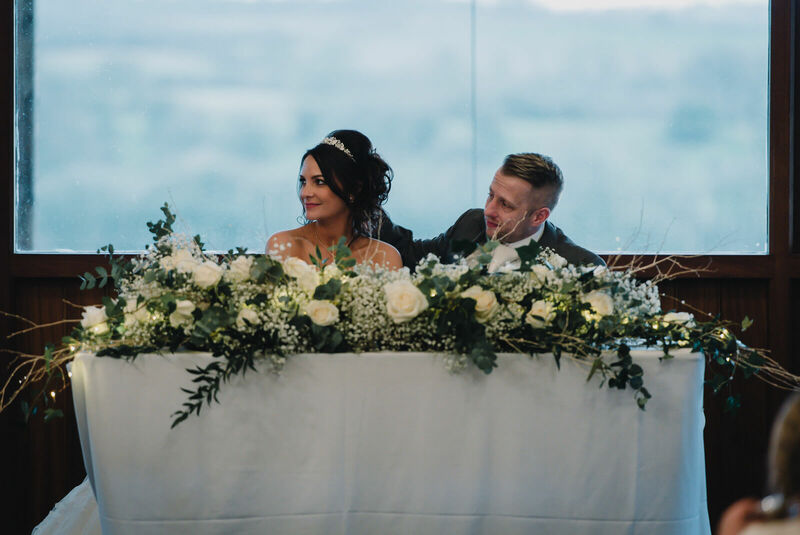 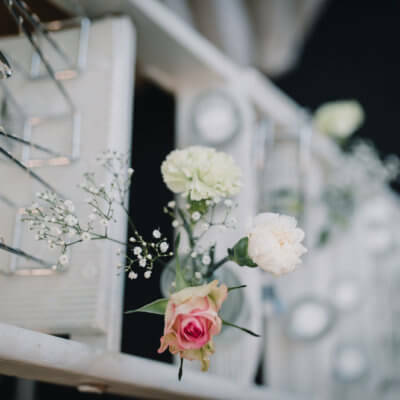 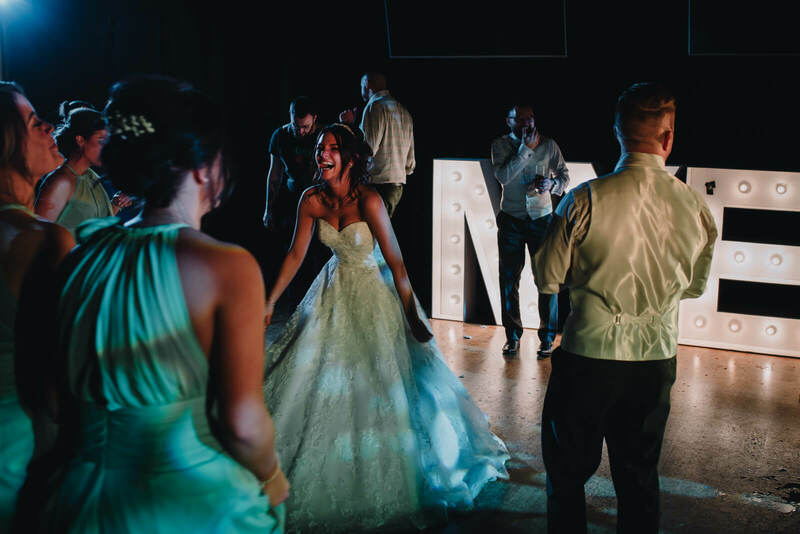 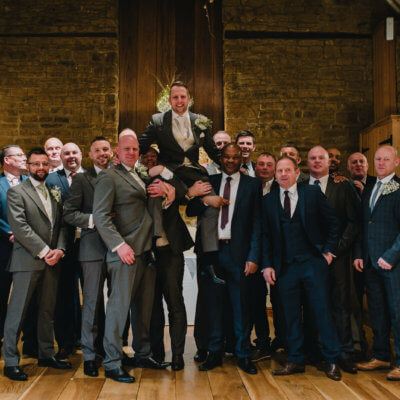 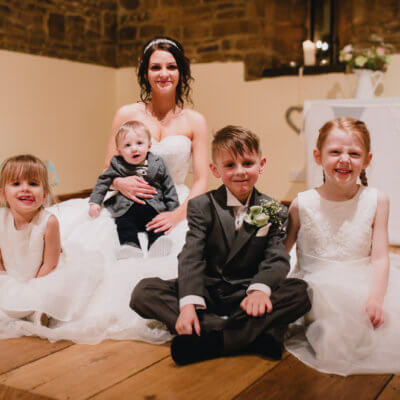 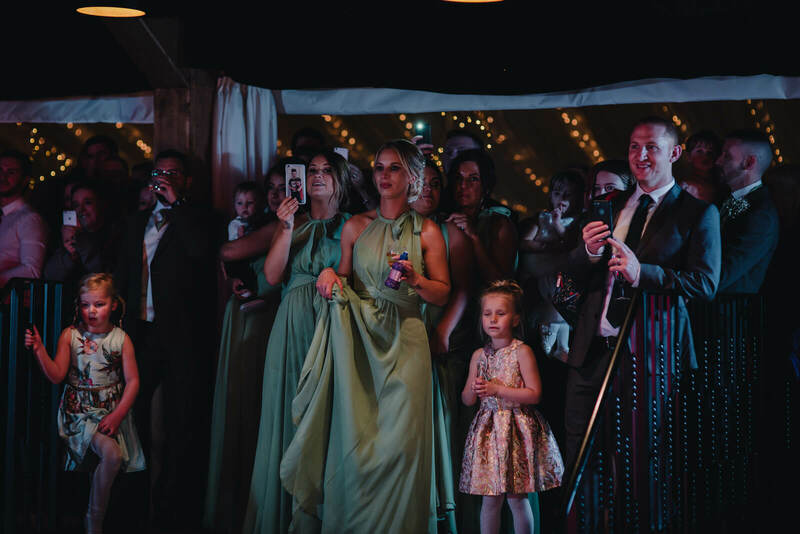 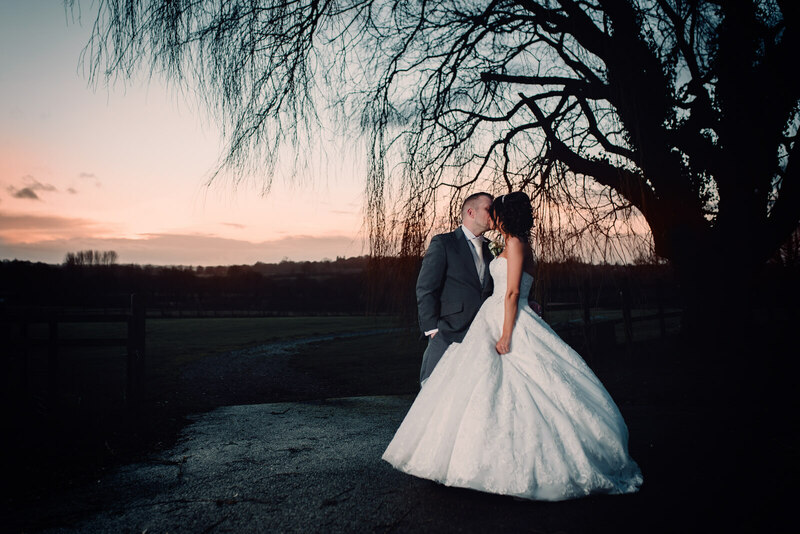 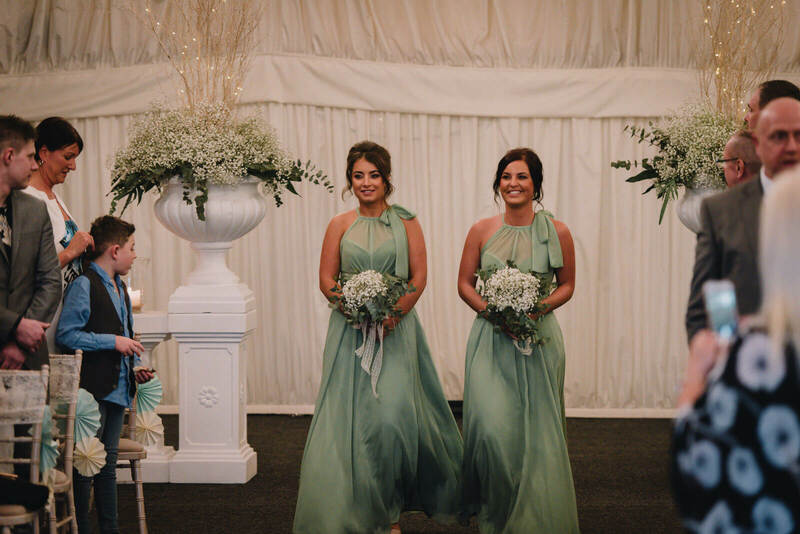 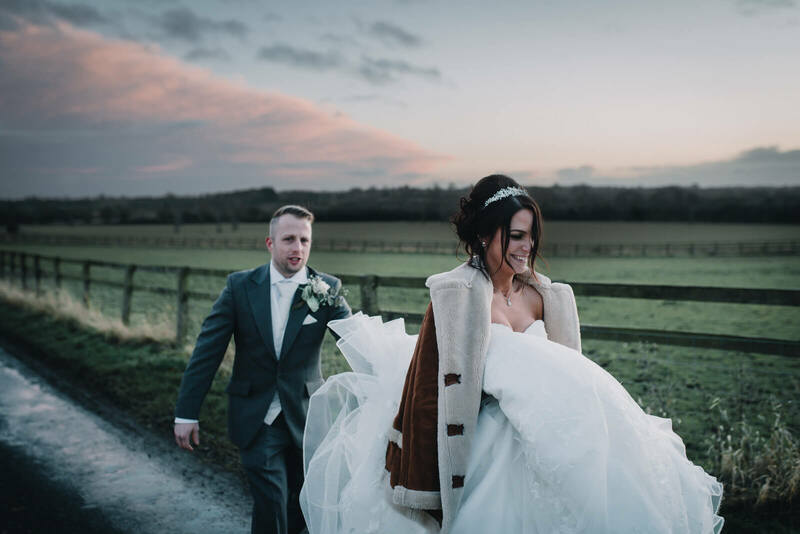 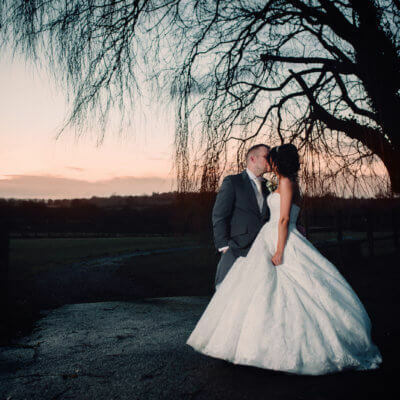 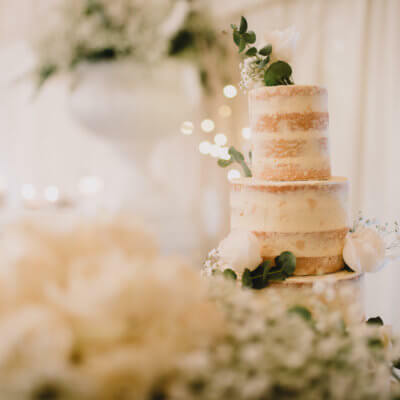 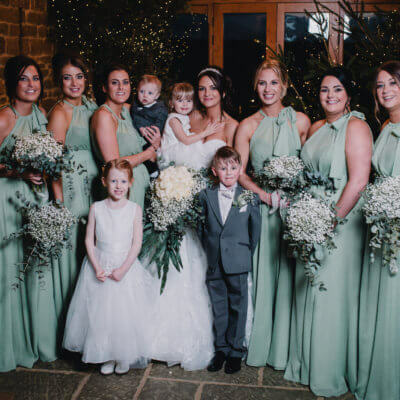 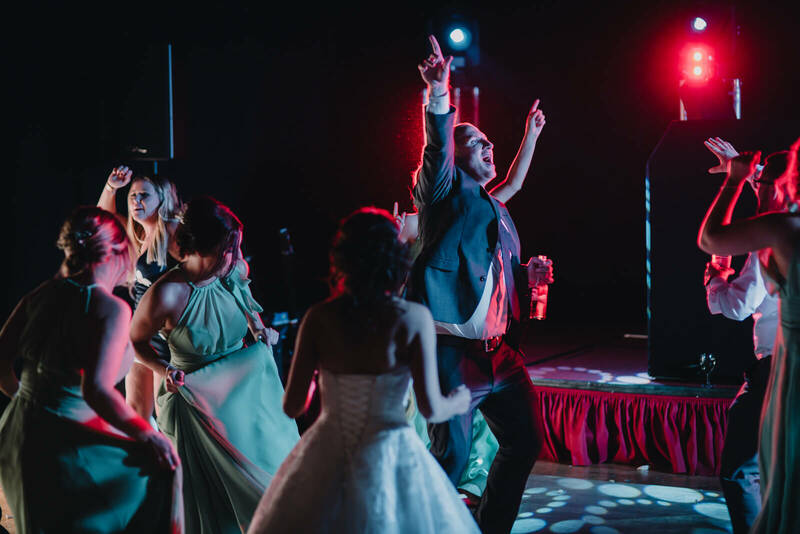 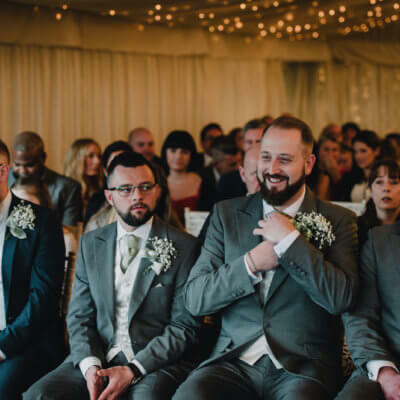 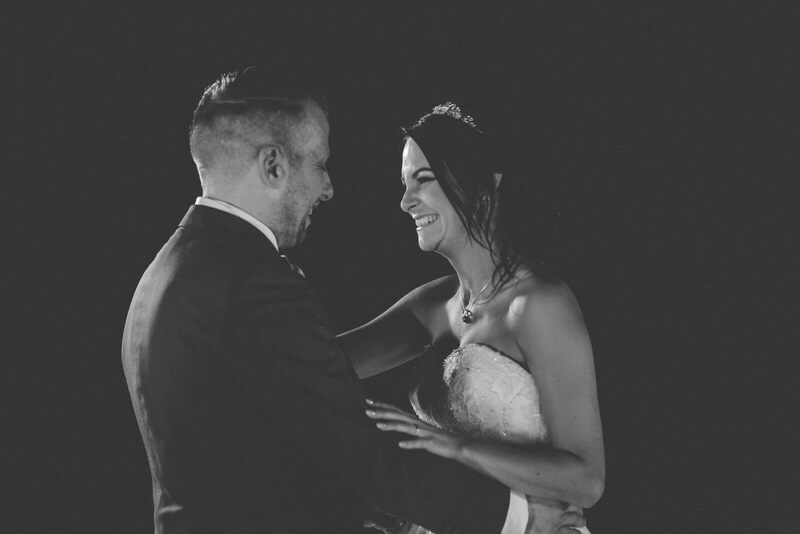 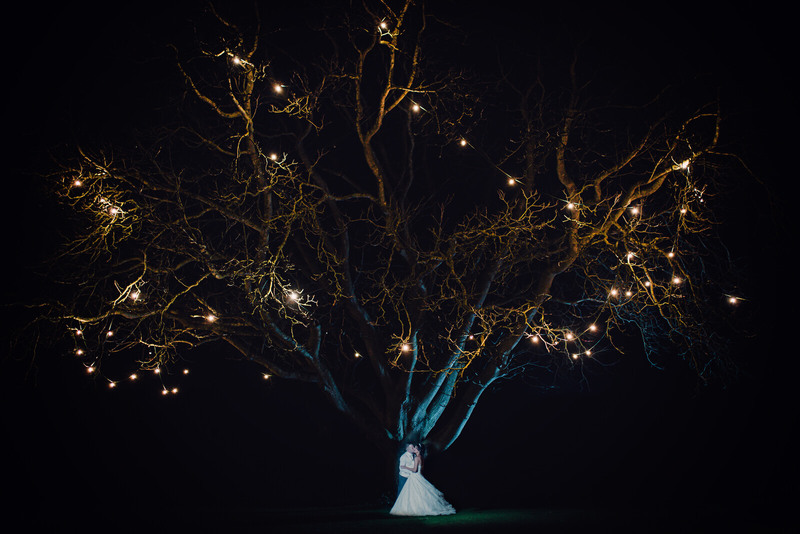 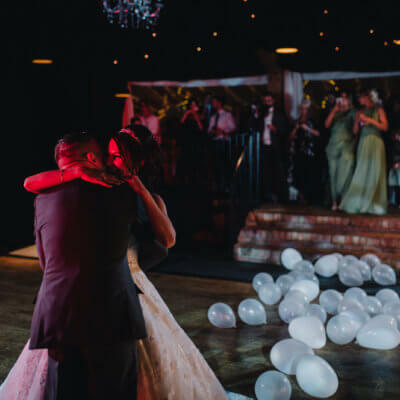 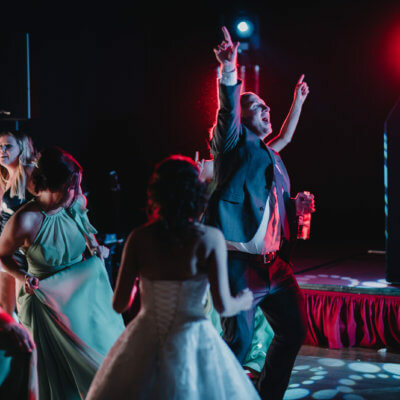 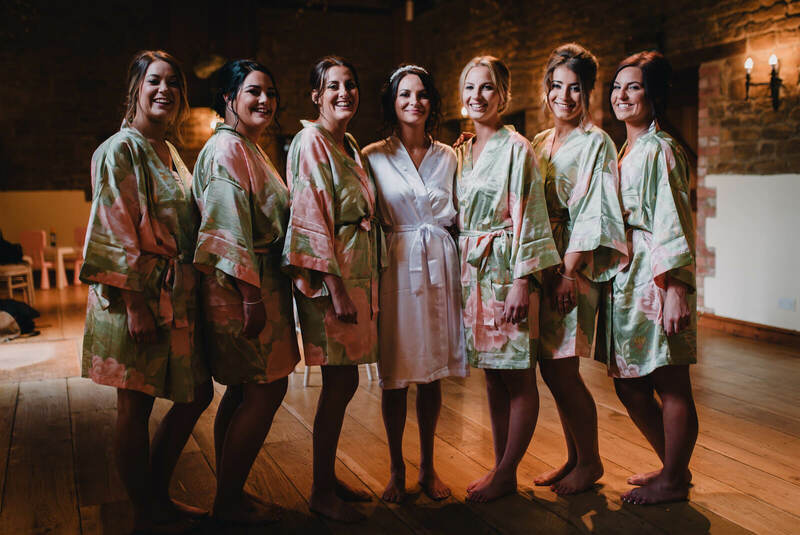 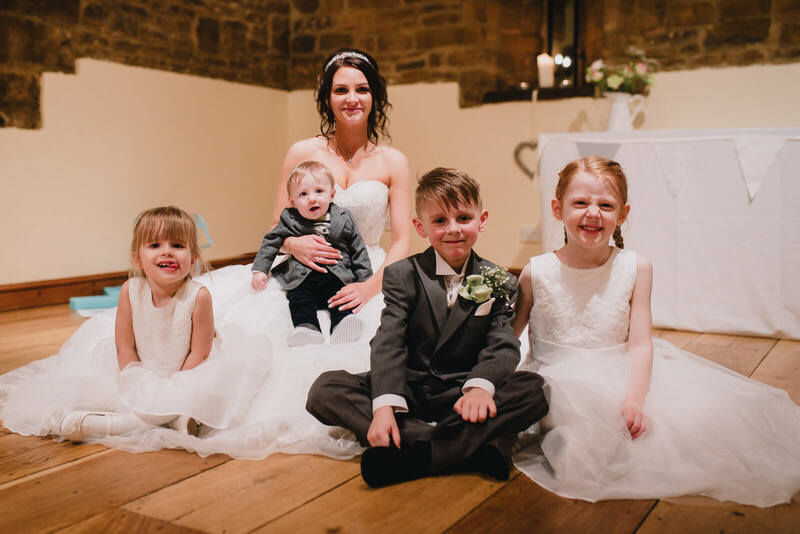 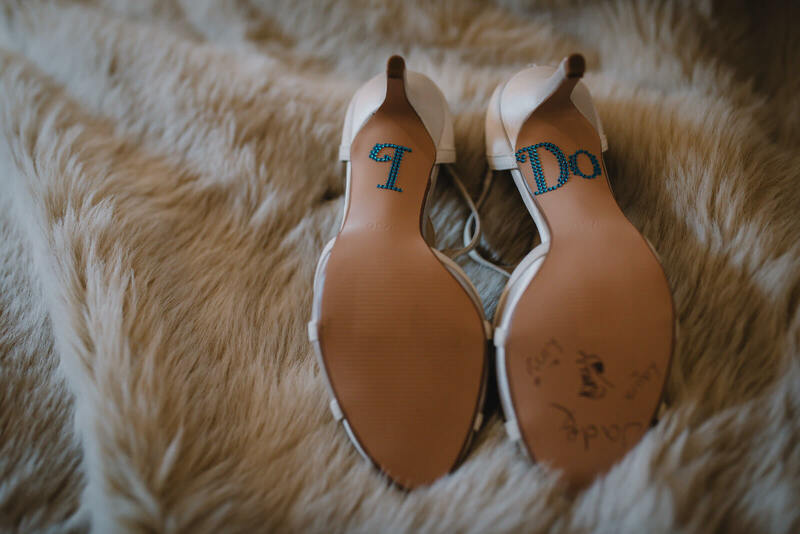 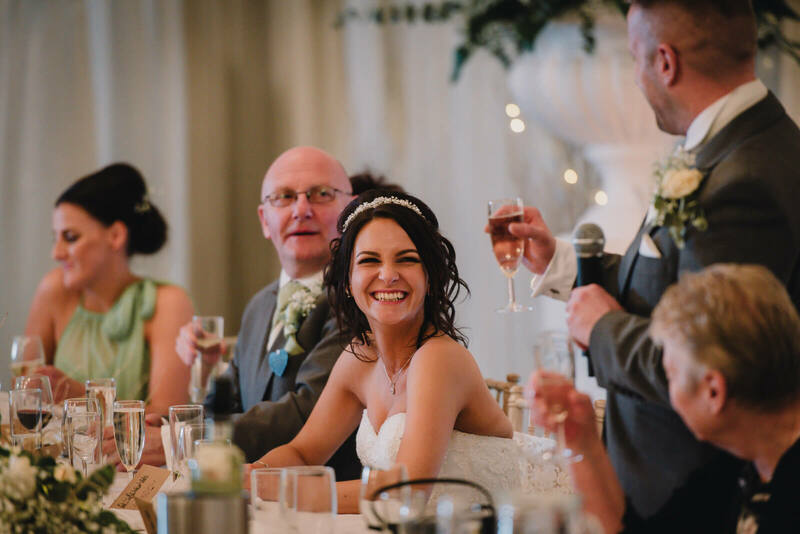 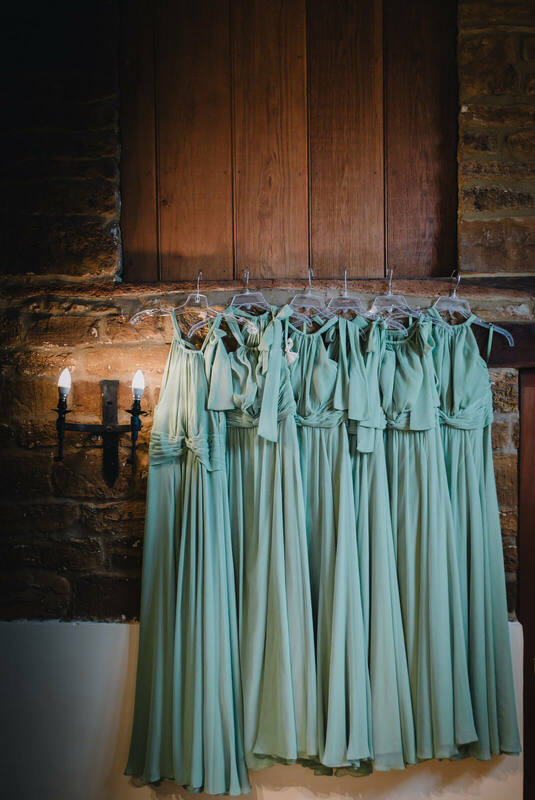 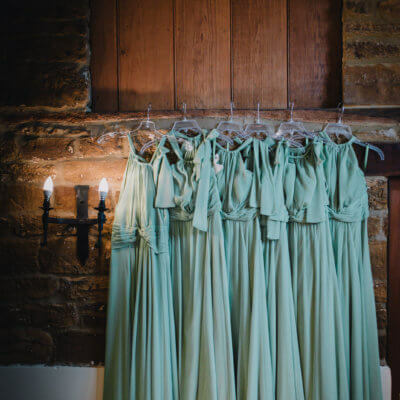 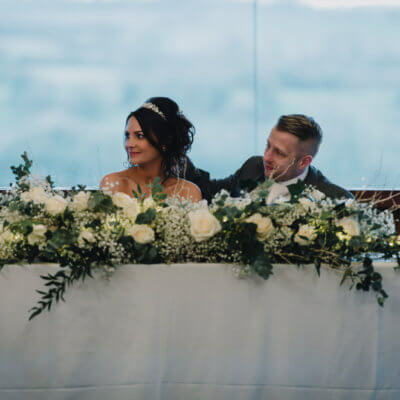 Miranda stayed that night with her bridesmaids and used the cottages and vaulted barn venue to get ready in, whilst Darren made his way to Crockwell with their children on the morning of the wedding. 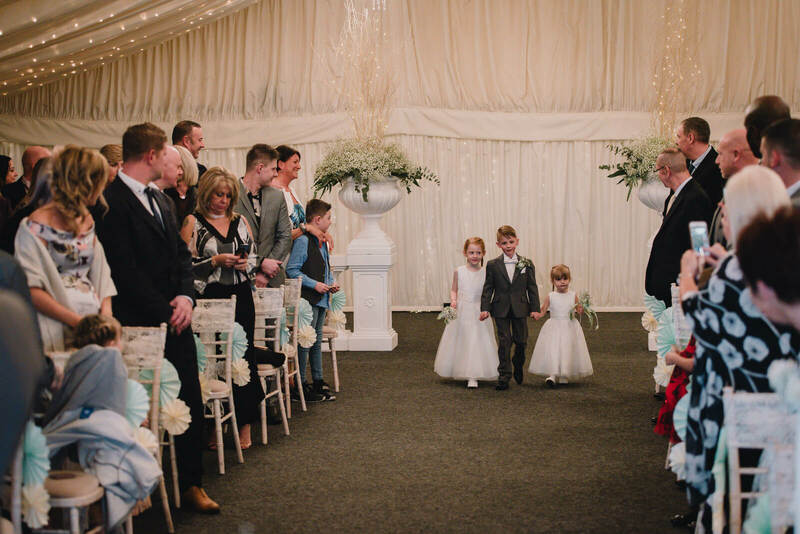 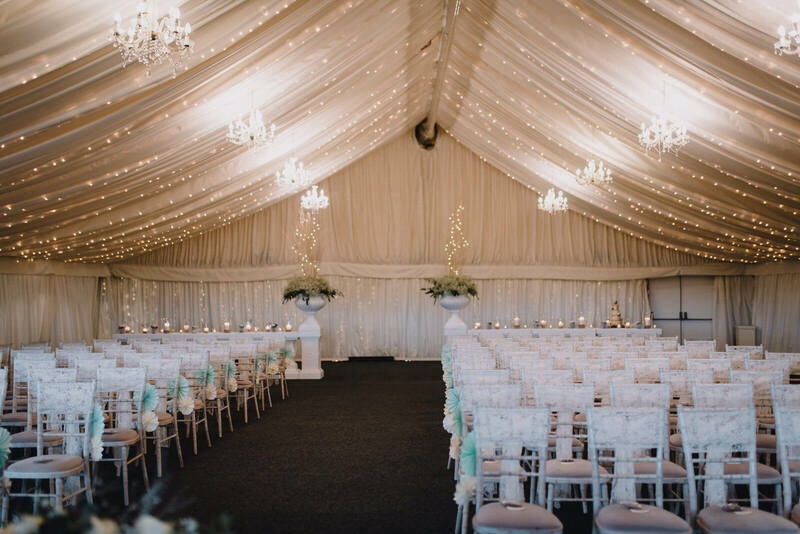 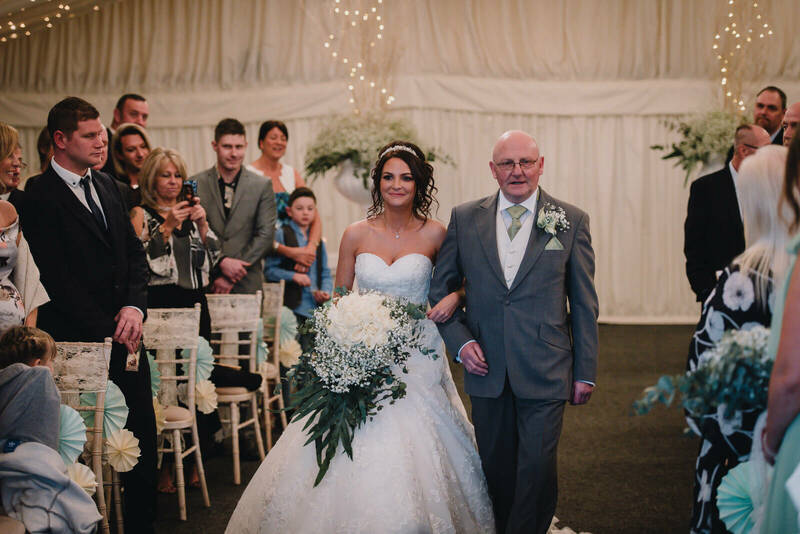 They had 125 guests so were married in the main marquee surrounded by family and friends and although the heavens opened as they said ‘I Do’ there was plenty of indoor space for Reality Photography to get all of the group shots. 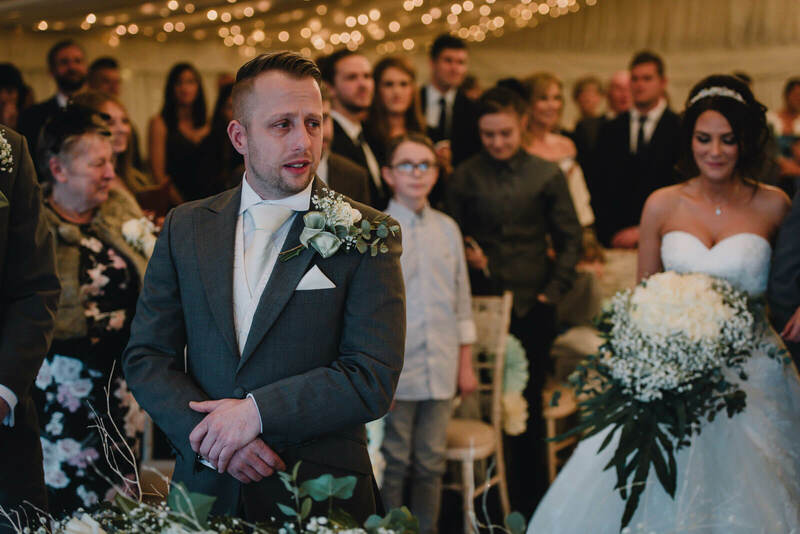 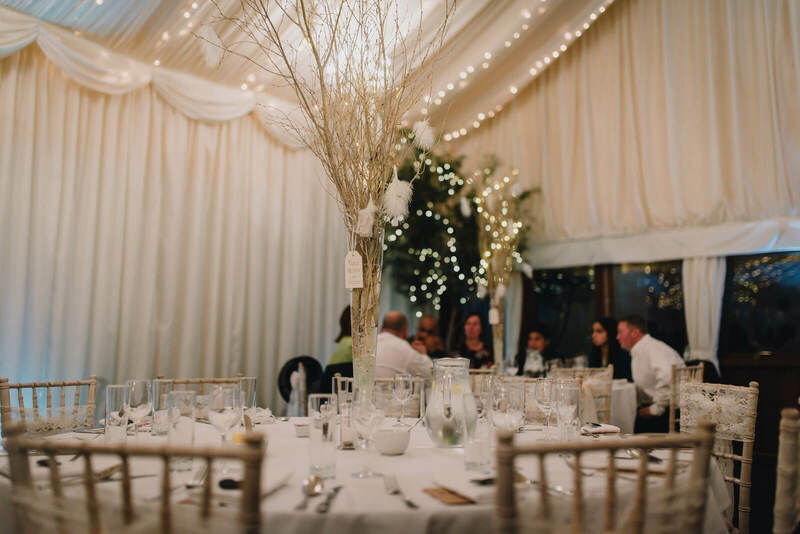 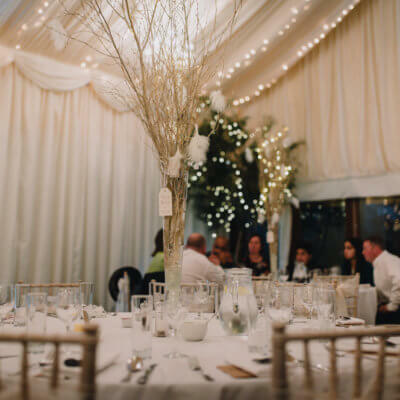 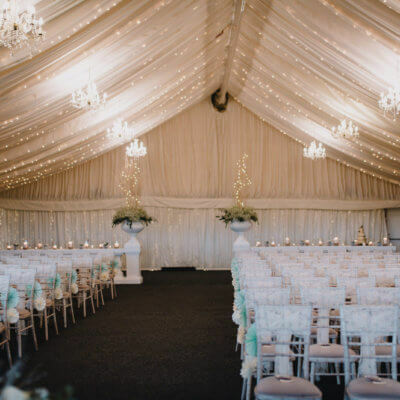 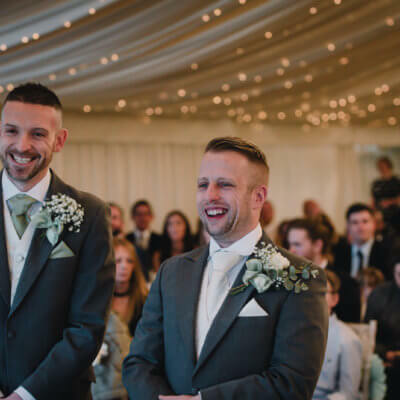 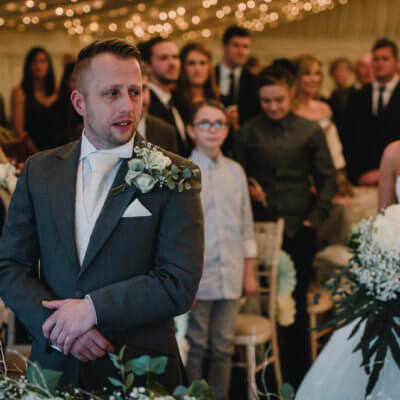 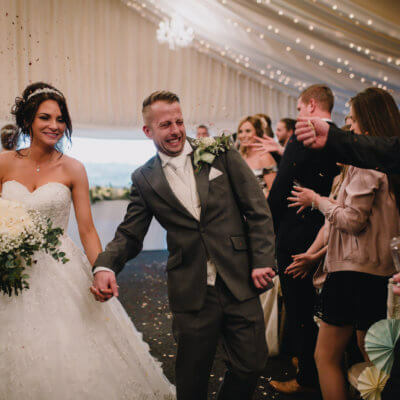 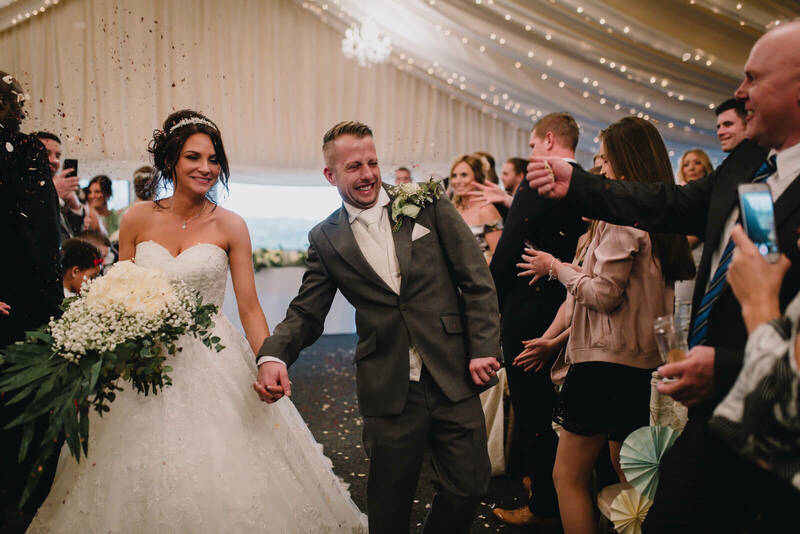 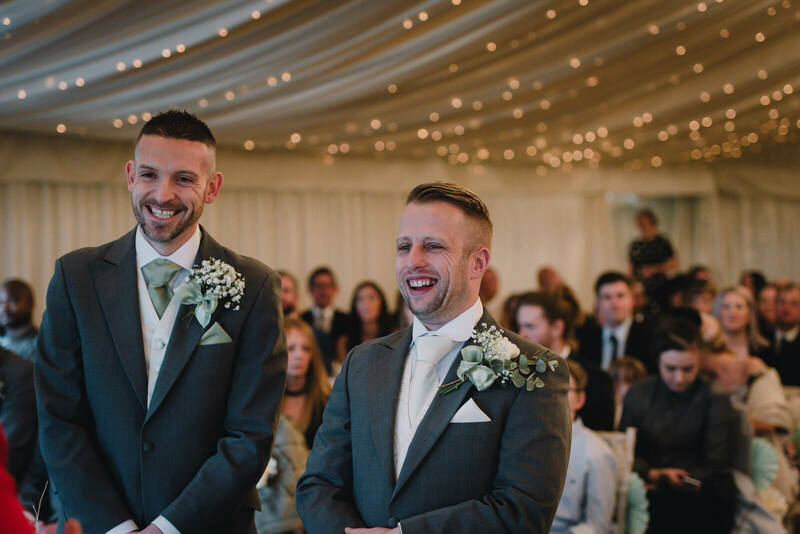 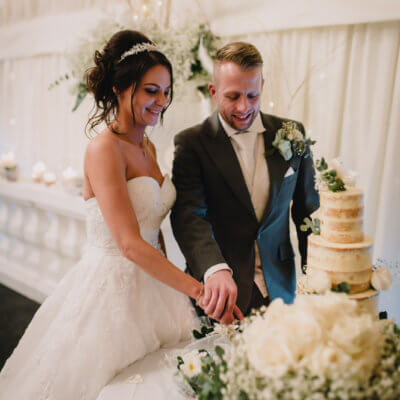 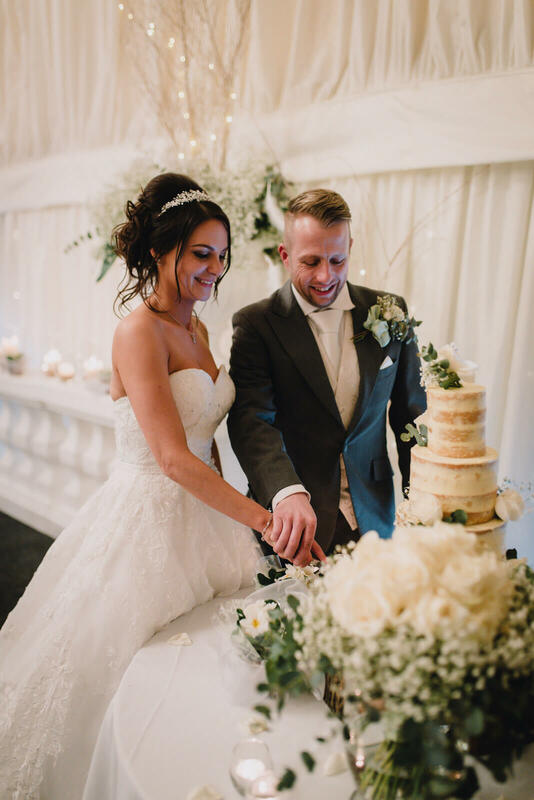 The Crockwell and Chopping Block teams turned the main marquee around for wedding breakfast whilst the guests were entertained by Taylormade Acoustic Duo. 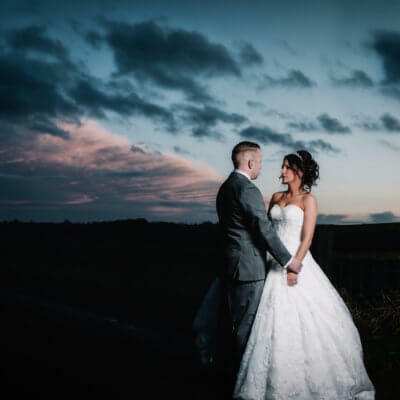 Miranda & Darren managed to get outside for some photos later in the evening and as you can see they make a stunning couple! 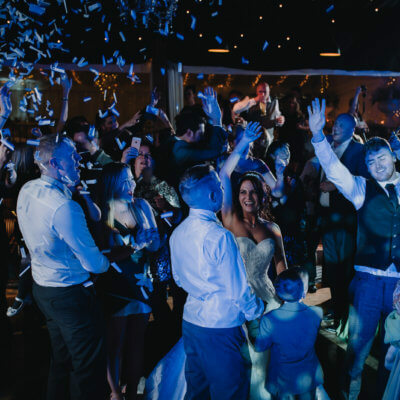 Evening guests arrived to join the party, where it was dancing to Stardust Weddings who made sure The New Year was seen in, in style. 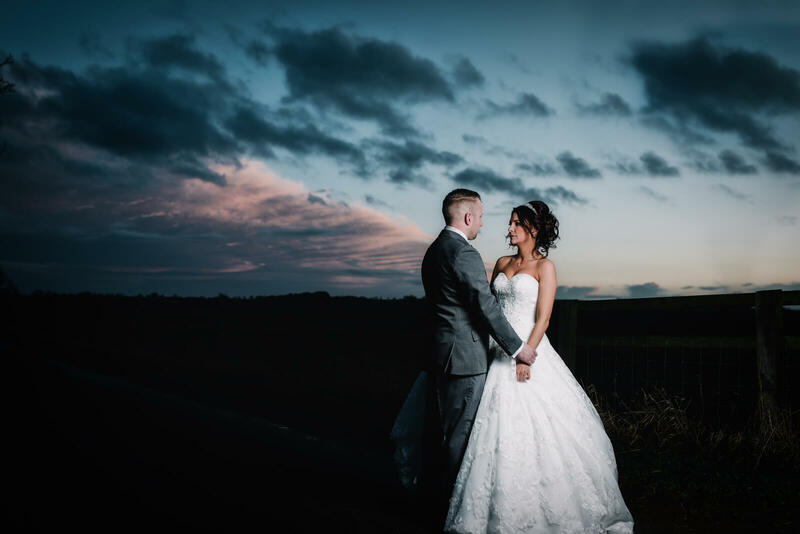 Thank you to Miranda & Darren and Reality Photography for letting us share their day.